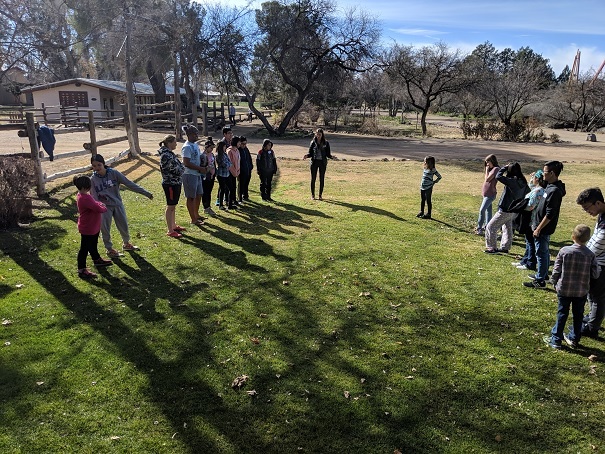 For several years now, numerous Orme students have participated as “Bigs” in the Mayer Big Brothers Big Sisters program. 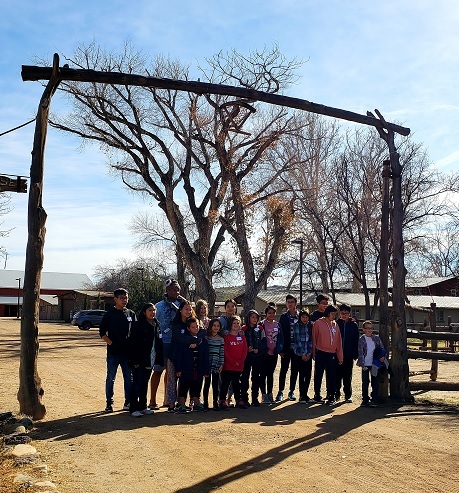 Last weekend a new group of local “Littles” visited our campus and spent the morning with Orme student volunteer Bigs. 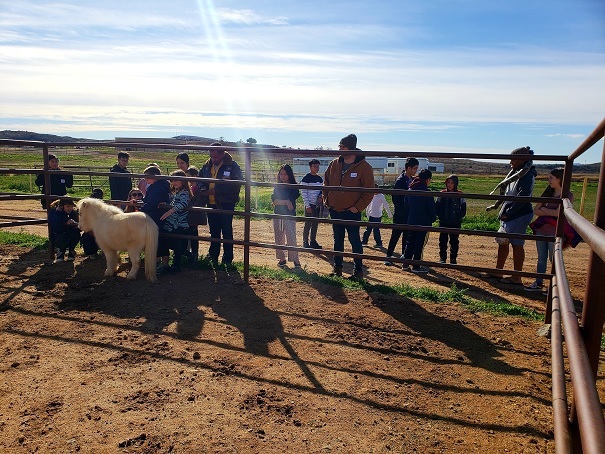 After meeting and playing some ice breaker games together, the group went Up Top to see the horses. The Littles were very excited about that, but a few were a bit nervous seeing horses up close for the first time. With her sweet and friendly demeanor, one of Orme’s miniature therapy horses named Pearl helped those students feel more comfortable, and they even got to pet her. 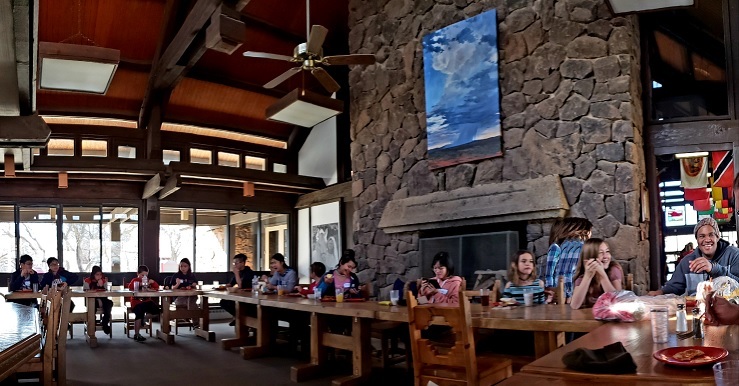 Afterwards, everyone enjoyed brunch together in Founders Hall before the Littles had to return to Mayer. There were many hugs and a few tears as the Littles boarded the bus to leave. However, they will all be back on campus in a few weeks to spend more time with their amazing and dedicated Orme Bigs! I was a Big Brother in Los Angeles for over 10 years and know the importance of their participation. I commend Orme students volunteering for this very worthwhile program. Don Kaiser, Orme Summer Tutor in the 70’s and 80’s. I am so pleased that Orme and students are working with Big Brothers and Big Sisters. I know that it is a great program and it also takes a lot of qualifications for Orme and the students participating to go through. –Joel, former camper 1968-1969 and Summer School student.